One of the biggest parts of playing slots at mobile casinos are the bonuses and promotions. Free stuff – how exciting! You simply have got to have them, so I will tell you what sorts of bonuses and promotions casinos usually hand out. Plus, I've compiled a list of top five casinos that offer the best bonus and promotion all-round packages, so make sure to check it out. If you're already lost among all the bonuses and promotions that are available out there, don't fear – I'm here to tell you what sorts of freebies exist out there in the mobile gambling world, so if you're just starting out in playing mobile slots. But before we start, here are a few general pieces of advice. Remember that the bonuses and promotions will differ per online casino, so be sure to pick a good one, jam-packed with free goodies – here's how. Plus, sometimes certain games have special promotions running on them, especially when they're just launched, but make sure to pick promotions that are valid on your favourite mobile slots. Probably the thing that is the most Googled when it comes to mobile slots is ‘free bonuses.' That and the slight variations of the term: no deposit bonus, free casino bonus, bonus codes mobile casino and so appear to always be on everyone's mind without much further thought. No deposit bonus – this is probably the favourite of many mobile casino gamblers, a no deposit bonus of cash is handed to every newly registered player. 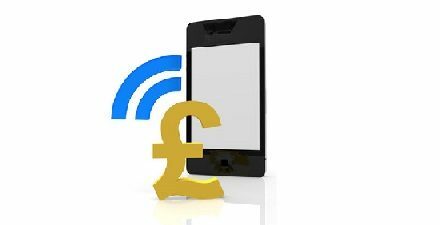 Free £5, £8 or even £20 are awarded, usually after you enter credit card information, but with no further obligation of involvement. My advice would be to take the money and check out the games that are on offer at the casino – a perfect way to familiarise yourself with the casino site and the entertainment package they offer. Extra spins – increasingly popular, 25, 50, 100, 250 or even more extra spins are given out to new players at select casinos. It is pretty similar to the no deposit bonus as it allows you to check out the games portfolio of a place, but instead of money, you get extra spins instead. This experiential type of bonus is becoming more appealing than simply handing you the money because it allows for a casino to direct your efforts and give you a certain number of free games before you must pay up yourself. Deposit match – these are by far the most popular welcome bonuses at mobile casinos. Essentially, it's a way for a casino to make you give them money first, so that they can give you some bonus cash back. The percentages of deposit matches can range from 50%, 100%, 200% and even 500% and an maximum amount that you can deposit is usually specified too. For example, if you deposit £100 for a deposit bonus of 200%, you will have £200 of bonus funds to play with, plus the £100 you deposited, totaling at £300 to play with. This bonus is normally valid for your first, second or third deposit, and your subsequent deposits become just regular casino deposits with no deposit match, unless there is a promotion running of course. When I review casinos, I always highlight their regular promotions as it's something that keeps people interested and coming back week in and week out. Regular promotions aren't welcome bonuses – they don't run out, but they keep on giving. Many casinos opt to have a regular promotion for every day of the week, others have just a few, but one thing is for sure – players know that they can always count on them. This sense of security and certainty appeals to many and even if you like variety and diversity, you'll soon come to appreciate them. Ranging from cash back on your losses, deposit matches that resemble those given out as welcome bonuses, raffles, giveaways, extra spins and more types of promotions are regularly scheduled at mobile casinos. The only limit is the imagination of those setting them up, so you can really expect anything and everything from casinos. Just make sure that you opt in according to the procedure set out by the casino, otherwise you risk missing out! Sometimes this means that you must deposit on a certain day or in some past period. Other times, it could be that you must log into your account to discover what promotion is waiting for you. Whatever it is, read up on the specs that the mobile casino lays out and never miss another regular promotion! As opposed to regular promotions, special ones are unique and come by just ever so often. While most casinos don't dish these out with quite the regularity we'd like them to, there are a handful who celebrate anything and everything there is to celebrate in life. Hooray! And when I say celebrate, I mean that special promotions are set up to celebrate a new game launch, a holiday, a season, an anniversary of the casino or some sort of other festive occasion. Special promotions are great as they are often more imaginative and have higher rewards than your weekly promotions. It makes sense because mobile casinos can't afford to give away heaps and heaps of massive prizes every week, with the exception of the absolutely huge brands. Thus, the casinos will mark the launch of an exciting game, the coming of summer, Christmas and their 10th year anniversary by sharing lots of goodies with you. From gadget giveaways, ticketed raffles, slot tournaments, to simple deposit bonuses and extra spins on the new games, there is always great excitement surrounding the special promotions. News sites, including Mobile Slots 4U, will trumpet about them weeks in advance – we're happy to celebrate whatever happy occasion the casino is celebrating. So make sure to get in on all the action for your chance to win holidays, event tickets, and cash, lots of it! This type of promotion is great, because sometimes playing mobile slots can start to feel a bit lonely. Social promos to the rescue! These are all of the promotions that casinos offer on their social media, plus their Refer a Friend schemes. To break it down further, most mobile casinos nowadays have social media accounts such as Facebook, Twitter, Instagram and often times video channels on Youtube. And the promotions that are available via these social channels are countless. While some casinos use social media to advertise their welcome bonuses, regular and special promotions, others offer competitions that are featured on social media exclusively. One excellent example that comes to mind straight away is Spin Genie Casino. Every Wednesday, they host their Facebook competition, where players must guess where their mascot Lucky the dog has travelled to. Not only do all entries have to be posted on the wall as well, but all the social interaction is a breath of fresh air when compared to clicking ‘spin' over and over for hours. Now that you've familiarised yourself with all the different types of bonuses and promotions that exist at mobile casinos, ranging from no deposit welcome bonuses to special promotions, let's take a look at which casinos offer the best combination of them. Oh and don't forget about the VIP programmes that all of the following casinos run too, so that your loyalty gets rewarded too. I'd say, once you pick a casino, don't mess about and stick to it – you'll reap great benefits from it! When it comes to the welcome bonus, LadyLucks are one of the oldest and best mobile casinos around. 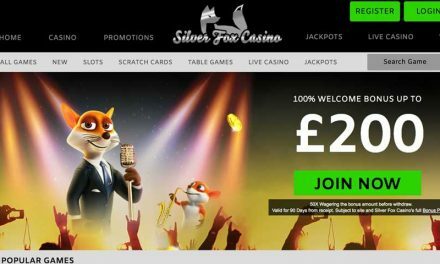 They offer £20 no deposit bonus to every new player, plus a bounty of other promos too. Here's the low-down: many weekly offers, a Daily Bonus Bonanza, first deposit match of 100% up to £500, Refer A Friend, Facebook Competition and a VIP Programme too. I'm not going to say that they have every promo available under the sun, but they darn sure get close to perfection in my book! I simply have to include Spin Genie in this list, not only because of their excellent social media promotions, but because they've got a staggeringly awesome welcome bonus package too. Think about it: 50 Extra Spins, 100% first deposit bonus, 50% second deposit bonus, free £5 on bingo… The list goes on and we think you don't need any more convincing! T his is a long-standing favourite of mine, Kerching! 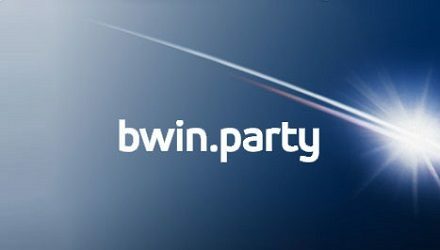 not only has an amazing games portfolio powered by NEKTAN, but it also has regular promotions, a promising VIP programme, 650% first deposit match bonus, 100% second deposit match bonus and 50% deposit match bonus. And don't forget their weekly specials, such as cash reloads and weekend tournaments centered around a select game – great fun! Yet another classic, mFortune mobile casino is one of the oldest ones out there and it's because they treat their players right. Everyone's offered a free no deposit £5, no questions asked. What's more, when new games come out, that bonus is bumped up to £8, so you'll have a little gentle push to check the game out. Don't forget that mFortune's bonuses are very generous because you can keep and withdraw what you win. Trust me, that's something that's virtually never seen elsewhere, so jump right on this great opportunity! Munch your way to this bite-sized casino, that not only offers flawless mobile gameplay and a cute game selection, but also some great bonuses and promotions! When new players sign up at Chomp, they'll be showered with bonus money in the shape of £500, plus get to participate in the renowned VIP programme. In addition, there are weekend tournaments, goodie giveaways, and new game special promotions all in a neat little package that's got a pretty vibrant colour scheme too. Check it!